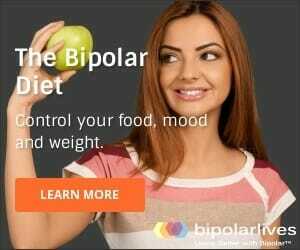 Is there a connection between bipolar and divorce? Can a person with bipolar disorder still be a wonderful spouse? Research statistics do show that bipolar disorder is slightly more common amongst the single and divorced. The single and the divorced are more likely to have bipolar disorder when compared to people who are married or never married. “we know of no evidence to support a causal relationship between the disorder and marital status”. Read the above statement again. It is very important information! All over the Internet you will find the unsubstantiated claim that 90% of marriages to a person with bipolar disorder end in divorce. THERE IS NO EVIDENCE TO SUPPORT THIS STATISTIC ON BIPOLAR AND DIVORCE. It comes from an article posted in 2003 on Psychology Today.com. There is no research cited to back up the statistic and it is important to understand that this is a COMMERCIAL website, not an academic website for proper peer reviewed scientific research. It is typical for partners of bipolar spouses to report higher than usual levels of conflict. do work and that the 90% figure is unsupported and overstated. Approximately 40% of American marriages end in divorce. This figure varies by age of couple, whether or not it is a first marriage, and whether or not there are children. In other words, we really mean it when we say “approximately”! However, in both of these studies the rates were high relative to the control group, but low compared to divorce statistics in general. In the Coryell study, 45% of bipolar patients ended up divorced compared to 18% in the control group. In the Drieling study, 12% of bipolar patients ended up divorced compared to 6% of the controls. Much more research is needed on bipolar and divorce, using larger samples and longer time periods and more careful matching with control groups before reliable conclusions can be drawn. One important point to note is that what research has shown is that marital outcomes for people with bipolar disorder are no worse than for the clinically depressed. So what is it that makes it so hard to sustain marriage with a bipolar spouse? It is easy to see where bipolar disorder, particularly where there is untreated mania, fits into this picture. After all, the hallmarks of untreated mania include hyper-sexuality, anger, impulsiveness and grandiosity, substance abuse, and compulsive behavior – all features that would reflect directly in the 5 main divorce causes cited above. A bipolar marriage may often seem very chaotic. We don’t yet know how much of this due to the real time challenges of coping with manic and depressive episodes, and what proportion may be attributable to the poor relationship skills that come from growing up in a bipolar family. Can we break the seeming nexus between bipolar and divorce? Of course! Remember that we have been discussing issues that arise when bipolar disorder is untreated. Problems also arise from other social, interpersonal, and general functional impairments suffered by people with bipolar. For example, the financial difficulties that arise from unemployment and the “downward drift” that characterizes even the brightest and best educated bipolar patients. It seems that accurate diagnosis and effective treatment plays a double role. As well as stabilizing the bipolar patient, the spouse is educated about the disorder. Evidence shows that spousal knowledge and understanding strongly contributes to a more successful, positive, happy relationship. Like many people after diagnosis and treatment, I have had the wonderful blessing of a second chance. But I never forget the risks I present as a bipolar spouse. There is nothing inevitable about bipolar and divorce! It can be very difficult to find useful, practical and target resources that deal specifically with managing relationships with people with bipolar disorder. One book I have found very helpful in my own marriage is When Someone You Love Is Bipolar: Help and Support for You and Your Partner by Cynthia Last. The ideal is for a happy and healthy marriage with your spouse who is bipolar – not divorce. This is a comprehensive but easy to follow book that provides the tools to support this important but challenging goal. My husband was dx with BP 5-6 years ago, but didn’t believe it. Then two years ago he was dx again after being hospitalized in a psych ward. He was on track and doing really well for about 10 months, but now he is off his meds again (doesn’t have time for the psychiatrist’s appointment, doesn’t like the lithium, who knows). He is self medicating with pot or alcohol, irritable, mean and has no patience for us again. He is also back to chatting on line with women using dating apps on his phone and through FB. I don’t know what to do. In the past, when I have told him about fining his online stuff, I’m in the wrong because I was snooping. He is very manipulative, always has been. I just don’t know how to approach him in this state. I need him on meds under psychiatric care , in personal talk therapy, and marriage counseling. But how do I convince him of this? I can’t take the cheating anymore and the outburts are damaging our kids. I deserve better, but I know this is a disease…but how long should I “take it”? We’ve been married for 16 years and sadly buried our oldest child (7 years old) in 2008. Can you give me a little guidance? I am really sorry Katie. I am currently going through everything you just mentioned for the first time. I find myself looking for answers on the internet like yourself because I don’t know how to approach my husband and how to fix the damage he has caused our family. I am saddened that you have not received a reply and you wrote your message in December. I wish you the best of luck. I hope someone has given you good advise. I have a lot of compassion for your situation. Especially for the loss of your child. I am going a similar situation. My estranged husband is in denial of his diagnosis despite being commited to a mental facility for a month. He refuses to take his medication and continues to engage in recreational substances. Due the substance abuse prior to the diagnosis, I discovered a support group called Alanon. This group is based on AA, but it is for the family and friends who love the person that is afflicted with addictive diesease disorders and mental illness. I have tremendous help through this group and they taught me that no situation is completely without hope. The key is to continually take care of ourselves. Unless someone is actually going through the same thing as we are, there is no way they can really understand what we are going through. This group helps me remain strong for our 13 year old son. Just Google Alanon and find a group in your area. Best wishes. Katie,,I truly feel your pain and confusion . My husband is also Bipolar. I have lived with him for 29 years and have 4 children. Over the years he has cheated on me on many occasions, blaming me for not satisfying him sexually. He is very controlling and has high expectations for everyone, except himself. When he is happy, the family is happy. our children and I have tiptoed around him for years. In the past few months he began abusing his meds and drinking excessively. The combination made him angry and he began accusing me of having affairs with both men and women. He told my children horrible things about me and was mentally abusing me. During this time he was determined that we should get a divorce. I finally have reached my breaking point and have decided that after 29 years of being hurt and demeaned that I am going to file for a divorce. It is not easy because his family is rallying behind him and making me seem like the bad person for leaving him alone when he is depressed and possibly suicidal. My children and I can’t be around him anymore. I am only beginning the proceedings and have my doubts but know in my heart that I cannot live the rest of my life like this. I deserve some happiness in my life and I will never get it from him as it is always about him in our marriage. I wish you all the luck in the world and hope that you will come to a decision that works for you and your children. I have been suffering from breakup issues with different guys. my relationship don’t last up 2 months, my last boyfriend broke up 6 months ago and left me heartbroken, i fell sick and my problem became very very difficult and it made me almost gave up. I was going through an article and found out about a man called Dr Mack. i had to contact [email protected] com to restore my relationship, and he told me i will have my boyfriend back in 3 days, i stayed positive and believe i could have him back and make him stay. my relationship was restored instantly, I was happy that the outcome was fantastic, only 3 days after Dr Mack started it all. Never in my life have I thought this would work so fast. My boyfriend reconcile with me and he started acting completely different, I and my boyfriend are getting married soon. I feel happy once again, and like never before.